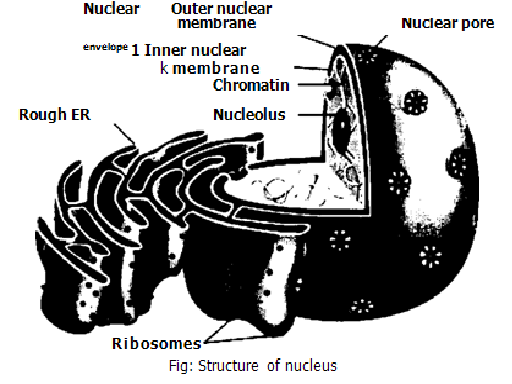 Nucleus contains most of the genes that control the cell. It is the most conspicuous organelle in the Eukaryota cell. Its average diameter is about 5. It performs two major functions: ---------------------------- ---------------------------- I. The information of DNA of nucleus is transcribed into RNA.